Let’s jump forward two series to the fifth season, and back to Mr Blewitt (presumably his brother is at peace by this stage) who was probably not expecting the late night visitors he received after taking possession of a suspiciously large chicken, courtesy of Jones’ butcher’s shop. The trouble is that this particular chicken, just possibly, contains £500 that Cpl Jones should have been taking care of for the town Spitfire Fund. And so it becomes a matter of vital military importance that the chicken should be thoroughly inspected, in the small hours of the morning. 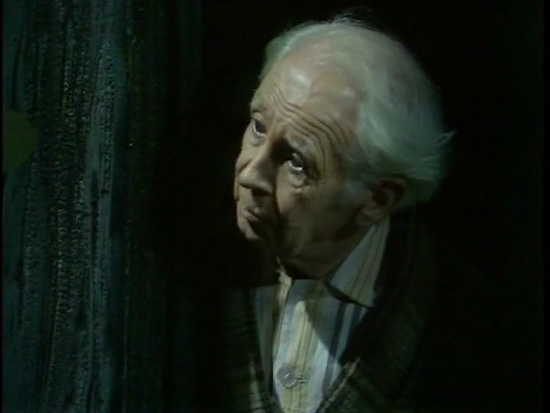 Like a number of the Dad’s Army cast, Harold Bennett was great at reactions and his bemused irritation at being disturbed in his dressing-gown on such a ridiculous subtext is wonderful – as is the way Arthur Lowe manages to deliver some truly ridiculous lines with a straight-face. This entry was posted in blog on July 13, 2018 by wolAdmin.